Choose what shape you want to give your photo. A round or square picture, as well as many more different options for editing the shape of your photo. Add text to your edited photo. 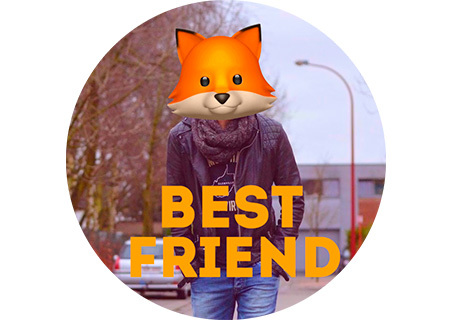 Also you can impose funny stickers on the photo, highlighting your mood. 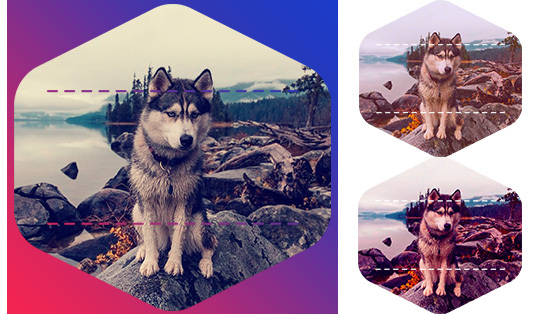 Apply instagram-like filters to the photo: make a black and white photo, you can increase the contrast of the picture and improve the saturation of colors. The service ooo.plus is created for users who want to make a round avatar or picture online . With our service round the corners of the photo online can be without photoshop or other programs. This site does not collect personal information, data from your computer or IP. However, your images are stored publicly. If you do not want your images to be stored publicly, do not use this site. Using this site, to round out the corners of the avatar or pictures, you acknowledge that we are not responsible for errors in data, loss or inconsistencies in the conversion. You can use this software at your own risk. © 2019 oooo.plus, all rights reserved.